One can openly say that it would be a cardinal mistake to turn up at the Rzeszów market square and not visit Stary Browar Rzeszowski. Because this is one of the most interesting restaurants in the city. 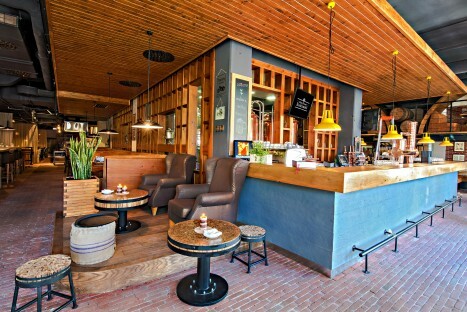 It has a stylish interior design, great service, delicious food and excellent beers. After all, what else could boast of a city with old Polish traditions, if not a good town brewery and superior beer? Stary Browar is a brewery that Rzeszów can indeed be proud of. 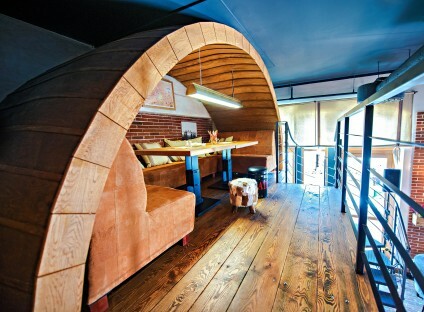 It is the first minibrewery in Rzeszów with a restaurant. 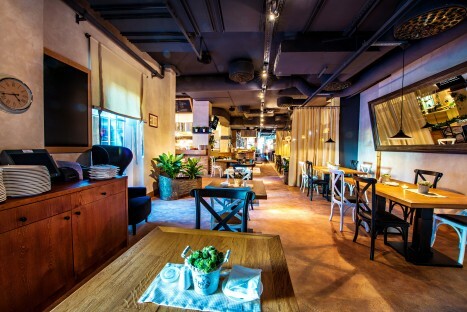 A large bar with copper elements, booths in the shape of beer barrels, wooden tables, high benches, a brick floor and interesting lamps, it all creates the charming atmosphere of the place. Guests can also visit the brewhouse to see how the staff make beer, as well as a storage room with steel fermentation tanks. And most importantly, there are four types of beer on regular offer: Pils Staromiejski, Pszeniczny Rzeszowiak (wheat), Ciemne Galicyjskie (dark), and Amerykańskie Pale Ale. For special occasions the brewery makes other types, for example Marcowe for Oktoberfest, Dyniowe for Halloween, or Stout for St. Patrick’s Day. Apart from traditional beers, such as pils, wheat or Oktoberfest style, the brewery also makes modern beers, e.g. American India Pale Ale, rice India Pale Ale, and rye saison. The brewers boldly experiment with a wide range of extra ingredients added to basic beer recipes. Some examples of this are stout with oak flakes, jasmine beer with lemon grass, and pale ale with Earl Grey tea. 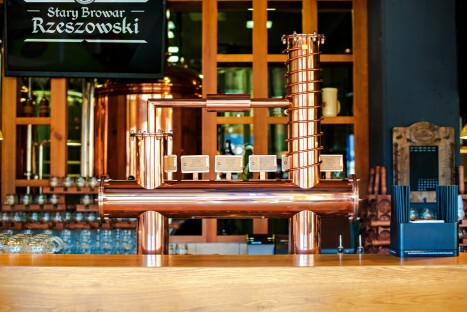 The beers made in Stary Browar Rzeszowski are unpasteurised, unfiltered, naturally saturated with carbon dioxide, and fermented and aged for a sufficiently long time. They are brewed onsite, in small volumes, and according to original, constantly improved recipes by two brewers, Aleksander Helman and Marcin Jędrzejewski, who watch over the quality of the products. The brewery has won numerous awards in craft beer competitions. 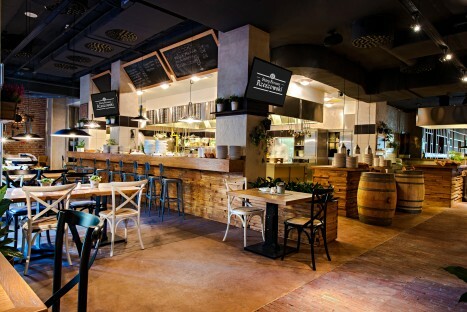 The strong advantage of the brewery is the excellent kitchen, serving, for example, ribs marinated in beer, pork knuckle with fried cabbage, Rzeszów-style sour rye soup served in bread baked on the site, seasoned steaks and hand-made pierogi. The house special is the largest burger in Poland, served with a bucket of French fries. The whole dish weighs as much as 5 kg! Guests can also order a pizza 100 cm in diameter, or a whole roast piglet. This is all must-see and try.